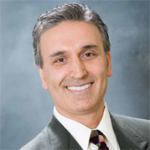 Masoud Attar, DDS, NMD, IBDM has dedicated his dental career to practicing healthy and holistic dentistry to help his patients achieve optimum health. He is a graduate of the University of Minnesota School of Dentistry where he was also on the academic staff of Oral Medicine and Diagnosis for many years. He is one of the first certified cosmetic dentists through the University of Minnesota, and the prestigious Las Vegas institute for Advanced Dental Studies (LVI). His academic training includes extensive studies in biology, homeopathy, botany, toxicology, and genetics; 2 years of comprehensive orthodontic instruction through the American Society of Orthodontics; and certification in ozone therapy. Dr. Attar is also a board certified naturopathic physician and a graduate of the American College of Integrative Medicine and Dentistry (Doctor of Integrative Medicine). Dr. Attar has successfully practiced dentistry since 1991 in Minnesota, Southern California, and Texas. 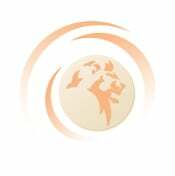 He is an active member of the International Academy of Oral Medicine & Toxicology, Holistic Dental Association, International Academy of Biological Dentistry & Medicine, American Association of Naturopathic Physicians, and the American Association of Ozonotherapy. Dr. Allen Sprinkle is a graduate of Baylor College of Dentistry. He became interested in alternative therapies in 1988, when he experienced craniosacral therapy for a hip injury. He subsequently studied the therapy at the Upledger Institute, where he was introduced to even more alternative practices. Dr. Sprinkle spent over seven years studying with Cornell Medical’s Dr. Janet Trevell, author of Myofascial Pain and Dysfunction: The Trigger Point Manual. At the same time, he studied under Dr. Lawrence Funt, author of Anatomy of a Headache. Other mentors have included Dr. Brendan Stack, who developed an amazing treatment for Tourette’s, and Dr. Dietrich Klinghardt, who brought neural therapy from Germany to the US. In 1992, Dr. Sprinkle was introduced to Dr. Yoshiaki Omura of Columbia Medical School and continues to study with him today. Dr. Sprinkle has also studied with Dr. Robert Kerstein of Tufts Dental School – developer of the Disclusion Time Reduction technique for effective treatment of TMJ issues – and Dr. Soroush Zaghi of the Breathe Institute and Stanford Sleep Fellowship, creator of the innovative functional frenuloplasty. All these clinicians and teachers have contributed to the techniques that Dr. Sprinkle employs to help his patients with pain and sleep disordered breathing. “There is no better feeling that helping someone regain their life after they’ve suffered from chronic pain,” he says. 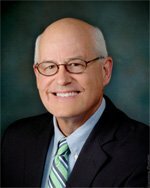 Dr. Sprinkle was a founding member of the Academy of Clinical Sleep Disorder Dentistry and the Center for Neural Occlusion. He is a certified Truedenta practitioner, as well as DTR-certified by Dr. Kerstein.